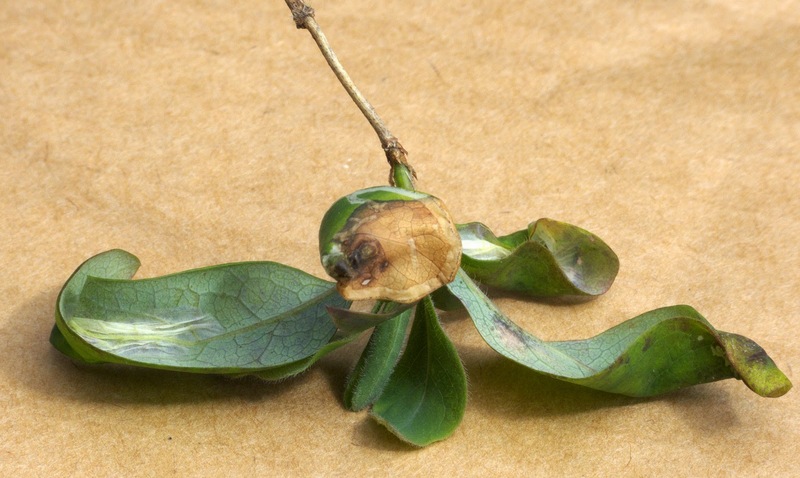 At this time of year I think I'm safe with the id on these Honeysuckle mines found yesterday at Hurcott (north Worcs). I shall attempt to rear, though I fear I may have picked them a little early. 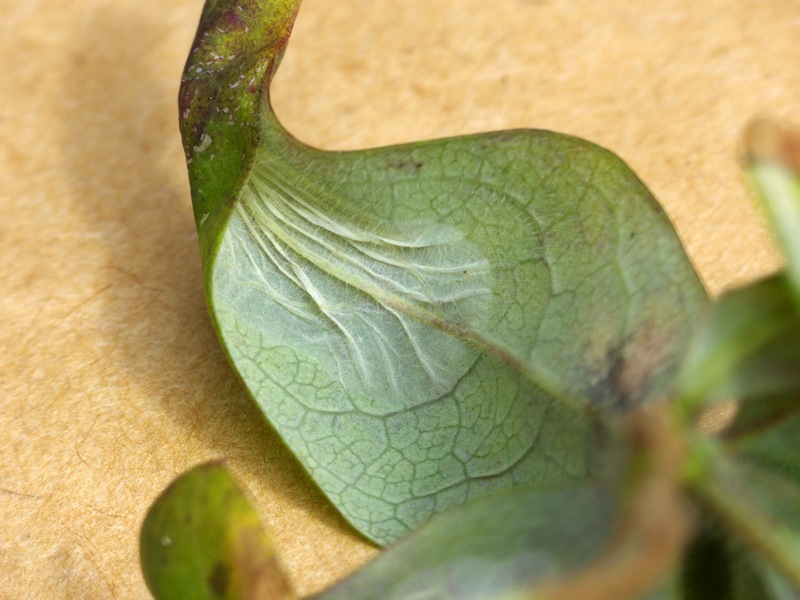 Some websites state the mines are between main rib and leaf edge but others show mines extending across both sides of the leaf. 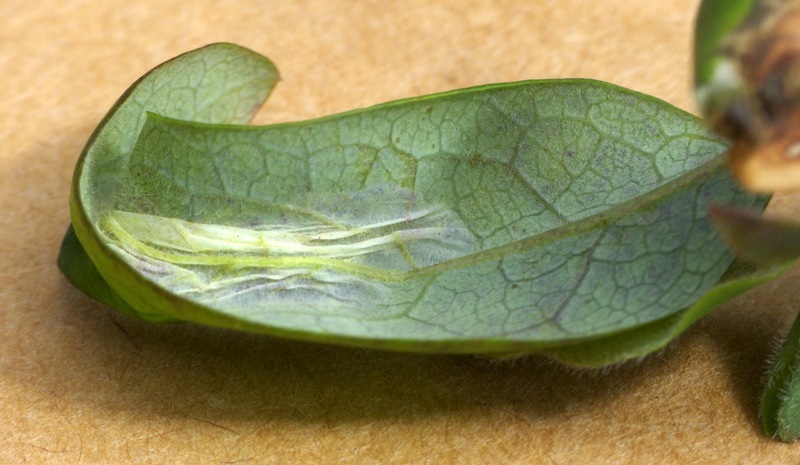 I once found an adult dead on my lounge windowsill (Honeysuckle just outside) but have never found the mines in my garden or recorded a live moth here.